When you are being a champion for your brand, whether at a networking event, giving a pitch or trying to seal a deal, you need to get the content right and to sound convincing. But there’s an extra layer that can make you a much better speaker; adding conviction to what you’re saying and making your audience warm to you and trust you – your body language. 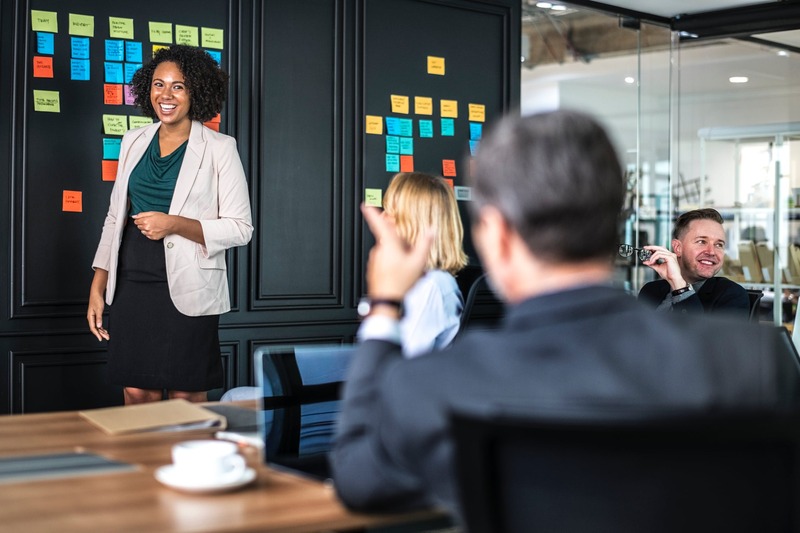 In this blog, body language expert Carole Railton looks at some of the most popular Ted Talks of all time to see what the 5 most positive nonverbal cues are being used to best effect. 1. Gesture toward your audience. This gesture helps to guide and engage your audience. Involving the audience increases their attention and helps them to form a connection with you. Don’t be afraid to point to the audience; this is a confident gesture that engages audience members directly. Example: Tony Robbins. Robbins isn’t afraid to point toward the audience, which is a confident and powerful gesture. He uses the right side of his body to direct and emphasize his points and uses his fingers, hands, and arms to give strong visual clues to the audience. This helps depict the speaker as earnest, and shows a depth of feeling for the story being told. Touching the heart implores the audience to believe and engage with the story or a particular point being made. Touching the head while making a point similarly expresses deep thought and asks the audience to think about the words being spoken. Pairing these gestures with a smile or animated facial expression allows the audience to warm to you and your words. Example: Brené Brown. Brown motions toward her chest to demonstrate that she is earnest and wants the audience to believe her and connect with her. She tells personal stories and makes the audience laugh, which endears them to her and engages their attention. 3. Raise your hands above your waist. Keeping your hands above your waist allows you to better direct and signal the points you make. Make sure to keep your arms open, signaling an open personality and a willingness to engage with the audience, and relax your hands to convey confidence. Strong gestures that follow and animate your words can also aid in keeping the audience’s attention focused on the story being told or points being made. Example: Bill Gates. Gates holds his hands high above his waist when using them to control and communicate his points. He doesn’t outstretch his arms and keeps his hands close to his body, allowing him to control more of the audience. Opening and closing his arms effectively emphasizes his points and creates a sense of earnestness. 4. Lean toward your audience. Tilting your head forward shows an eagerness to relay your information to the audience and indicates you are comfortable speaking to them. Pushing your head forward also signals having lots of ideas and thoughts, and key points can be emphasized by raising your head or shoulders. Don’t be afraid to agree with yourself and nod along to key points being made, asking the audience to take note. Example: Sheryl Sandberg. Sandberg leans forward toward her audience, which shows her eagerness to relay information and strengthens her connection to them. Her movements are gentle and controlled, and her head protrudes from her body to signal that she is a thinker. 5. Maintain a symmetrical stance. A strong and symmetrical stance depicts confidence, and people in the audience are more likely to absorb information from someone they view as balanced. Take center stage and show your power and confidence right from the beginning; hands on the hips are a particularly powerful indicator of leadership. It’s important to stay natural, utilize your space, and let your comfort onstage shine through to the audience. Example: Naomi Klein. Klein stays symmetrical in her posture, which makes it easier for the audience to engage with her. Audience members are more likely to take on information from someone they view as balanced and symmetrical. She sticks to one area onstage, suggesting congeniality in working relationships. Learn the best way by doing it yourself at one of Start and Grow Enterprise’s business support courses.